Grade: Β — (Beta) Fantastic book within the genre, probably worth reading regardless of which genre’s you like, but has a setting or style that may not appeal to individuals who are not fans of a given genre. The Art of Intelligence: Lessons from a Life in the CIA’s Clandestine Service is a non-fiction memoire by CIA spy and counterterrorism expert Henry A. Crumpton that tells story of his illustrious career while discussing trade craft, and the growing role of America’s intelligence officers. Real world from the 1960’s to present. Henry (a.k.a. 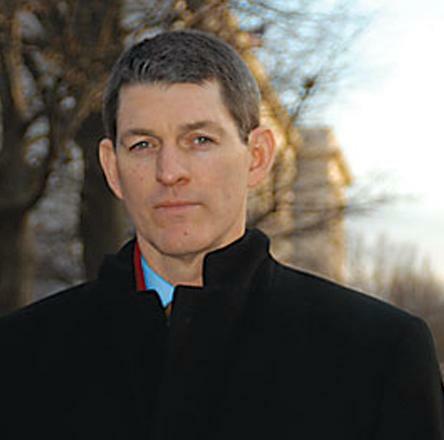 Hank) Crumpton is a former CIA Operative who rose through the ranks of America’s Intelligence agency to lead its Counter Terrorism operations, organize and lead the Afghanistan campaign, and then go on to advice and coordinate a variety of other offices. To that end, this book chronicles his journey from a ‘backwoods’ son of a part-time surveyor, to a Cold War Case Officer, to a man who advised different Presidents of the United States. The book is more than his own story, however; it also outlines tradecraft, discusses the running of agents, and describes key elements of the early days of the American Afghan war, as well as fascinating footnotes to the Iraq War. Now, it should be noted that no one ever writes their memoire to make themselves look like a fool, nor do life long loyal secret servants generally portray their agencies in dim lights, yet much of what is discusses in this book matches other sources. Of particular interest to me were his comments about the use of intelligence in the build up to the invasion of Iraq. As with other instances of CIA accounts of the “case against Saddam Hussein,” there are fascinating accounts by Crumpton of the astonished disbelief of how intelligence was used, misused and ignored regarding the connection between al Qaeda and Hussein. Even more interesting were the accounts of opportunities missed. Though Crumpton never directly criticizes any President, he does note how Bush, Clinton and Bush each lost opportunities to capitalize on situations and in thus avoid the conflicts we are now in. Had we funded Afghanistan after the Soviet pull out, had we covertly supported anti Hussein forces in Iraq during or after the First Gulf War, had we poured funding into reparations of Afghanistan after the highly successful initial covert and overt actions after 9/11, all policies recommended by the CIA, we might be living in a very different world. All of which make perfect sense, albeit presented by a no doubt biased individual. Yet present-day politics is only a small part of this memoire. 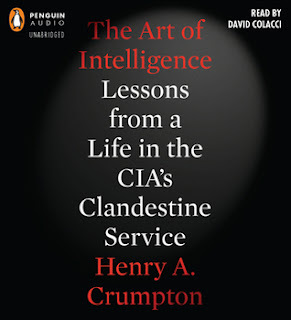 Crumpton also gives insights into the Cold War, tradecraft, and the over all culture of the CIA. The fascinating combination of open minded multiculturalism with gung-ho nationalism speaks volumes about the views of America’s spy community. It both confirms and challenges preconceptions of the CIA and the Secret Community as a whole. To that end, it was a fascinating read that gives insights into the real world of spying in the modern era. I would say this is a must read for anyone interested in espionage and/or modern global politics. David Colacci’s reading of this book was a solid performance that provided a clear and easy to understand narrative of the book. Mind you, early in the book, when Crumpton refers to his heavy Southern accent one may find oneself pulled out of the narrative due to Colacci’s clear and neutral diction. This is a memoire and as such, written in a first person perspective, yet if one is to have an easily understood reading of any book, one needs to avoid heavy dialect. Besides, as witnessed in the linked interview above, Crumpton’s present accent is hardly heavily accented. Regardless, this was a well produced audio book that provided fascinating factual insights into the world of the CIA. Moscow rules Max… two proofs. Mind you, these conclusions are inferred, rather than stated, but I believe they are written in bold between the lines. This entry was posted in Espionage, Memoire, Opinion Piece, Stand Alone Novel, Thoughtful Espionage Tale, Titles, Uncategorized and tagged Afghanistan, Art of Intelligence, Audio Book, books, Central Intelligence Agency, CIA, Clandestine Service, Cold War, Counterterrorism, Crumpton, Espionage, Iraq, Memoire, Military Science Fiction, policy, Saddam Hussein, Spies, Spy, United States, US foreign Policy. Bookmark the permalink.